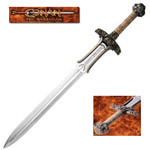 Kingdom of Heaven Swords of Tiberias are 42" overall. 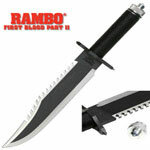 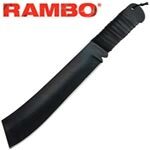 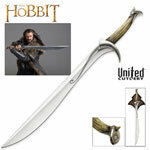 These swords have a 33 1/4" hand forged high carbon steel blade. 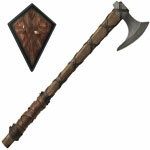 Hemp wrapped grip with tempered steel guard and octagonal pommel. 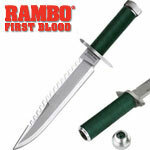 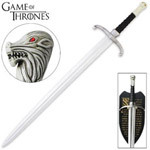 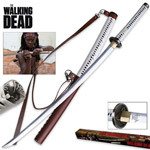 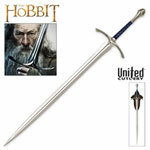 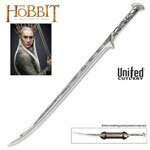 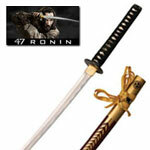 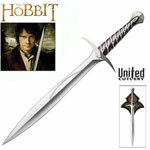 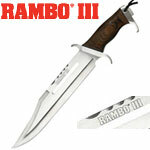 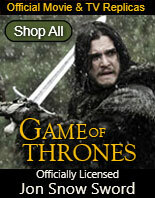 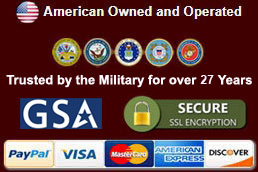 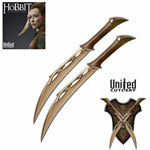 Sword includes a display plaque and certificate of authenticity. 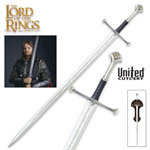 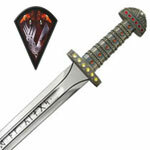 Kingdom Of Heaven Swords of the King are 42 3/4" overall. 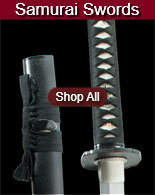 These swords have a 33 1/4" hand forged high carbon steel blade. 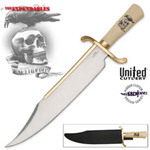 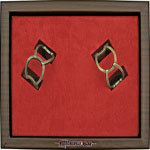 Rawhide laced grip with decorative brass rings. 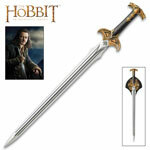 Sword has a brass guard with small raised flowers. 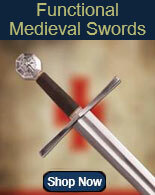 The pommel has a clear-thru cutout of the Jerusalem Cross. 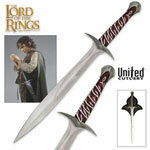 Sword includes a display plaque and certificate of authenticity.